Tipico Casino will then reward you with a bonus (Welcome Bonus is for new players only). The terms and conditions of the bonuses vary between different casinos and might also change over time and between different countries, so it is important to compare the different offers and read the T&C for Tipico Casino before signing up. Tipico casino was launched in 2004, using a cool them dominated by white, with splashes of black and red to emphasise certain elements of the UI. A medium sized welcome banner will likely be the first things players see, which displays bonuses and new games released by the casino, as well as a scrolling box displaying the newest and latest wins by casino goers. 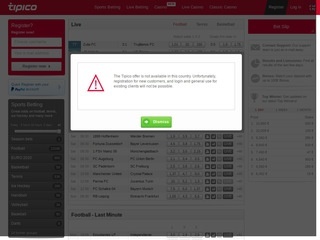 Directly above the banner, Tipico Casino allows gamblers to switch to the sports section, live betting section, casino section, live casino section and classic casino section, as well as allowing gamblers to log in or out. Directly beneath the welcome banner, gamblers can further specify what sort of titles they’re looking for, and scroll down to find more of them listed beneath in a sizeable tile format. The casino has a mobile version available to Android and iOS users. Those who choose to partake with their phones don’t have to worry about downloading any apps for the casino, except one for deposits, which is optional. The register button is somewhat highlighted to draw people in, but the real draw of Tipico Casino is the fact the important elements travel with you. Scrolling down will carry the elements above and right beneath the welcome banner along with you – giving you permanent access to the ability to switch to the live casino or the regular casino, as well as the various types of games you can find among them, as well as the search bar. That part’s undeniably great, but something we weren’t as thrilled about is the fact the casino keeps auto loading new games when you reach the bottom of the screen. This wouldn’t be an issue if it weren’t for the fact contacting the support means you have to reach the bottom of the page – so if you’re in a section with a lot of games, you’ll have to scroll a lot to finally reach your destination. If the new look doesn’t suit you, you can click the Classic Casino, which uses the older look. We haven’t seen major differences in functionality, although the older version has more languages supported. The casino is licensed by the Malta Gaming Authority. The new version of the casino is only available in German and English. The classic casino also has support for Italian, French, Turkish, Croatian and Danish, so if you’re from one of those countries, it may be worth it using the classic casino instead. The website itself does not go into detail on how they secure your data. 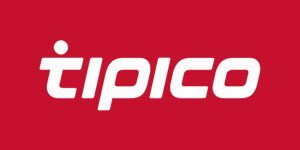 Tipico may transfer your personal data within other companies in the Tipico Casino Group and third parties that follow the same privacy standards as Tipico itself. For the longest time, Tipico Casino was recognised as a NetEnt casino. However, in recent time, they’ve begun to expand their collection of games available on the platform. That said, we have noticed some oddities. For example, we can still find NetEnt games on the classic casino, while we weren’t able to find them on the new casino. The new casino, best we can tell, is dominated by titles from Microgaming, NYX Gaming and Pragmatic Play, as well as Play’n’Go, Thunderkick and ORYX Gaming, among others. It’s not often that we will tell gamblers to use a specific version of the website, but if you like slots, the classic version of the casino is the better choice. We’re still baffled how Tipico carries NetEnt titles, and those games are still playable, but you can’t find them listed, or search for them in the new casino for some reason. In both cases, mousing over the games will allow you to press play to access a demo version, and from there, you can switch to a real money one if you’re registered – that said, one thing the new casino has going over the classic one is that mousing over reveals the developer of the game you’re about to play, something you don’t get with the classic version. Compared to how many games you have available in the slots section, the table games are somewhat barren, truth be told. The selection of which games you have available is also different depending on whether you’re using the new or classic version. Not accounting for games, the classic section also allows you to specify things a bit more, and has helpful descriptors like low limit, high limit and jackpot on top of or below the game bubbles themselves. The classic version wins out again, if for no other reason than because its easier to find some of these games with it. Virtual sports have their own section and have a few titles, as well as instant win games like scratch cards, keno and darts. We weren’t able to find these on the new version. Gamblers can use Skrill, Neteller, bank transfers and Paysafe cards to both withdraw and deposit money. In order to prevent money laundering and fraud, Tipico will withdraw only to the same method you used to deposit money in the last twelve months. All payout requests are manually checked by the casino’s employees. The first three payouts of each calendar week are free of charge, with any additional withdrawals after the first three incurring a five euro processing fee. For Paysafe cards, the name and e-mail address must match the details of your Tipico account. Gamblers can contact support through e-mail or live chat. The live chat is not available 24/7, however.